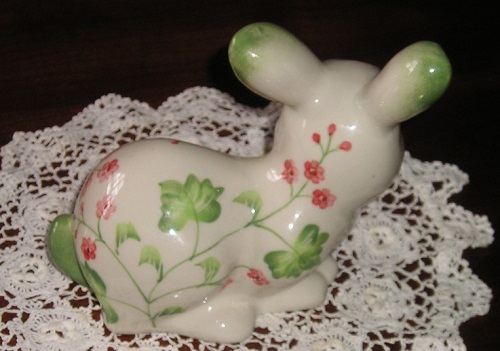 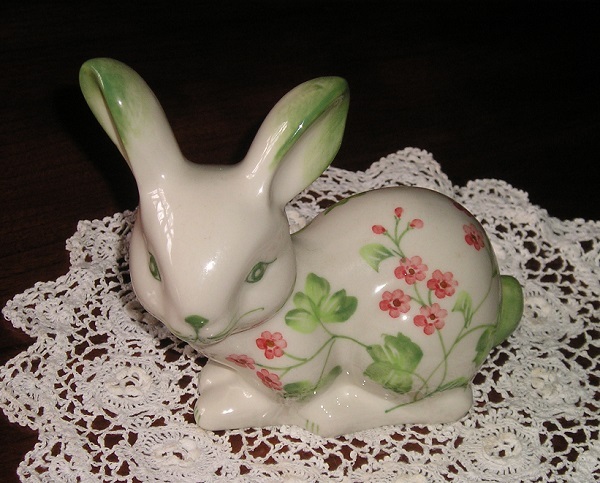 Delightful hand-painted porcelain Miniature Bunny Figurine designed by Colonial Williamsburg for Andrea by Sadek. 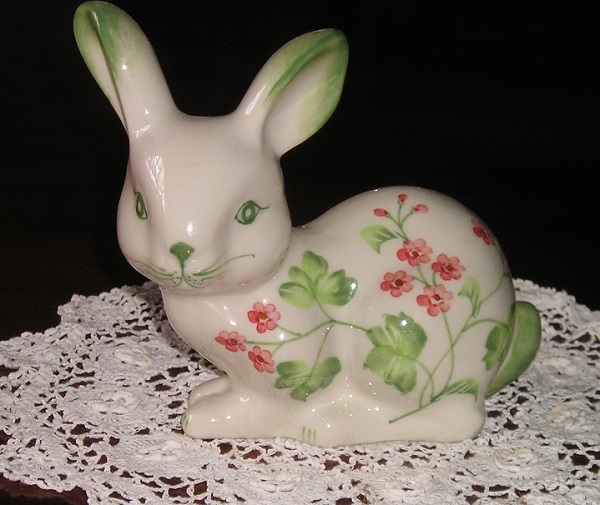 Measures 4.25"H x 5" x 2.5". 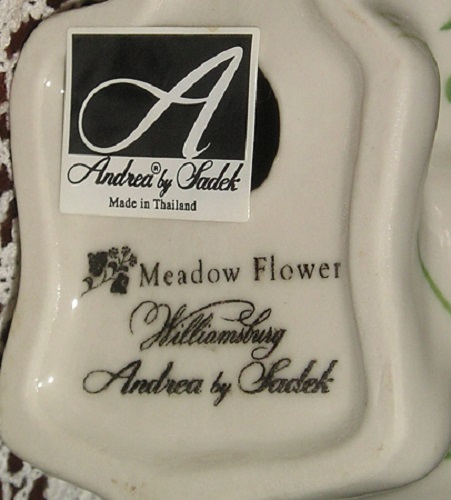 One of the beautiful porcelain designs produced in Thailand and now so hard to come by.